I sure hope you liked my project today. Wow, it looks fantastic, you did an awesome job, absolutely love it!! Your haunted house turned out just perfect! Love all the inking and the great patterns you used on the house! WOWZERS!!!! Julie this is incredible!!!!! This is SPOOKY AMAZING!!! I love how it turned out and the papers give it that real haunted look:) Fabulous!!! Fantastic. Love it. 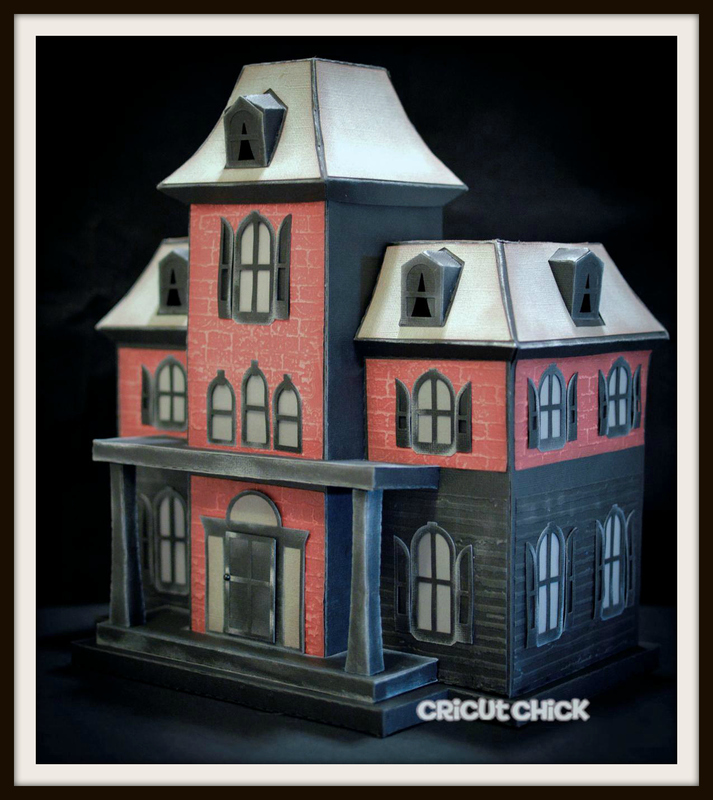 Would like to invite you to link it up over at 2 Creative Chicks 3D Challenge. Your haunted house turned out just awesome! Your papers are perfect!! I bought the file too but haven't even started on mine. Love SVG Cuts!! It turned out super cute !! awesome job!! You are fab at all your projects! Julie did you emboss your papers? Your house is so cute!!! @Teresaa Yes I did...I used the one that looks like brick and the other was just a wood stick one. Wow! That's fantastic! I'm going to hop over to their site and check them out! Thanks!